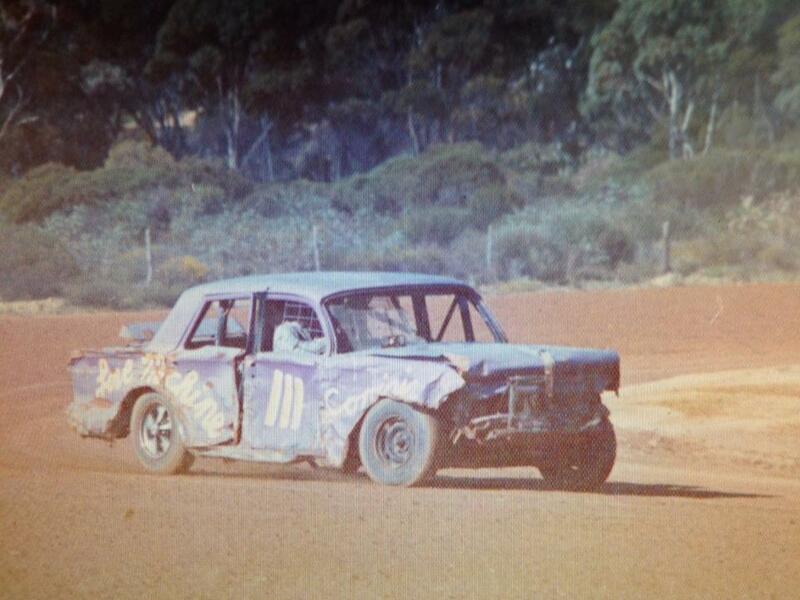 Prior to being a speedway track, the site was developed in the 1920's as the original Corrigin Showgrounds, after the Corrigin Agriculture Society took over from the George Rock Society, and moved the annual Agriculture Show in 1923 to this venue many other community events took place on the site. 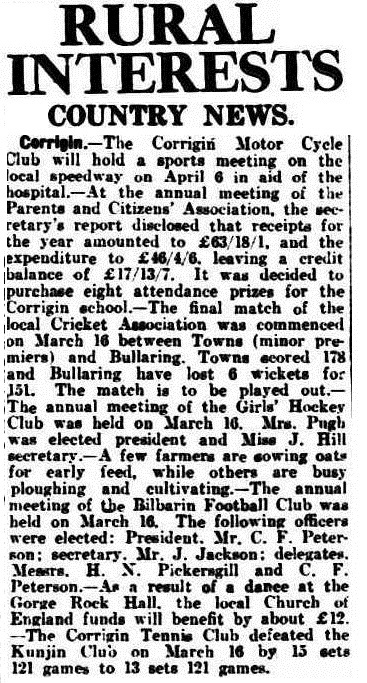 The grounds were used for football, Cricket, and hockey. The local Speedway was within the same proximity and in 1928 the local motorcycle club was formed. 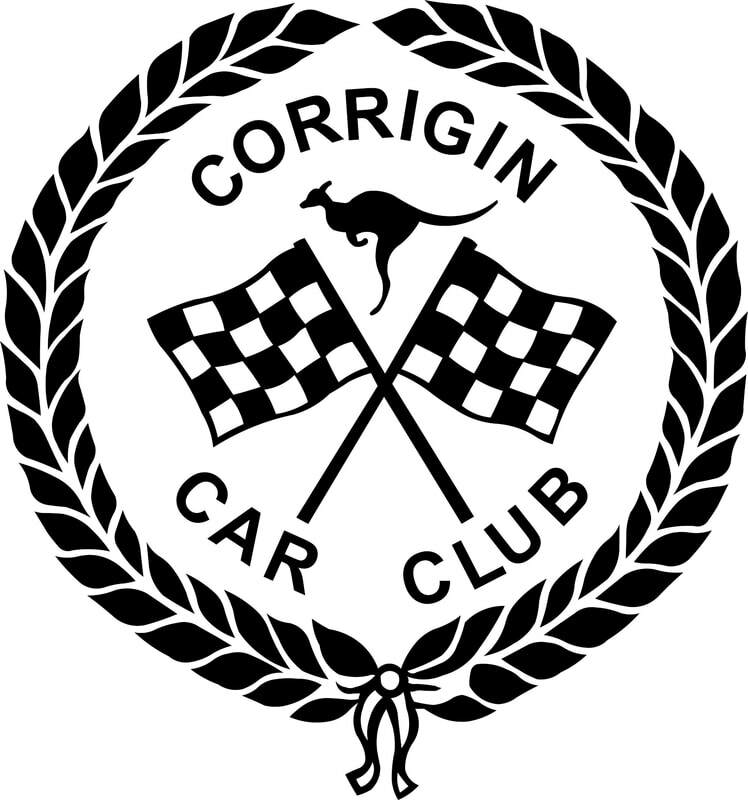 Some very skilled riders emerged from the Corrigin clubs ranks in the very short time the club was in existence. Eric and Heaward Abe, along with PJ Lings, were among those riders that went on to compete at the Claremont Showgrounds Speedway in Perth in the early 1930's. This gruelling event through scrub and sandhills as far as Balladonia and Israelite Bay attracted 3 Corrigin entrants in 1956, J Graham in a 1953 Holden, George Waldon in a 1953 Holden and P Dillon in a 1951 Holden Ute. 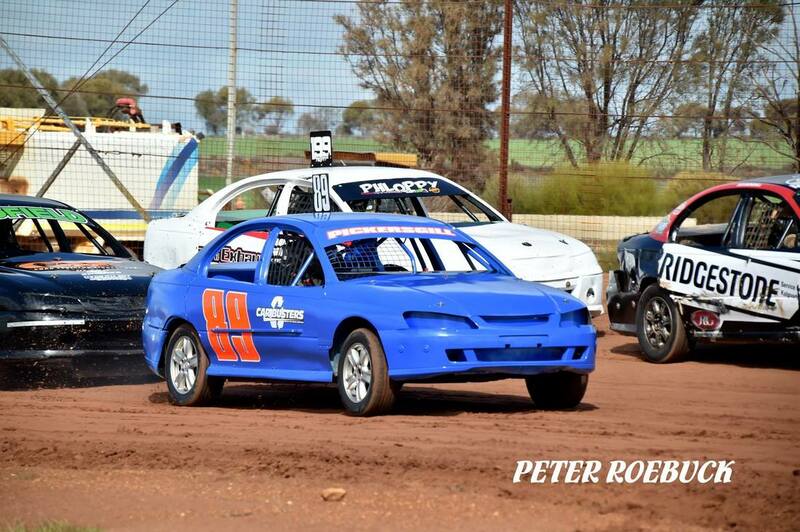 When the inception and construction of Corrigin Speedway is looked into the two leading names that stand out are that of Danny Lahore, a former tq racer, and George Walden, propietor of Walden Motors in Corrigin. 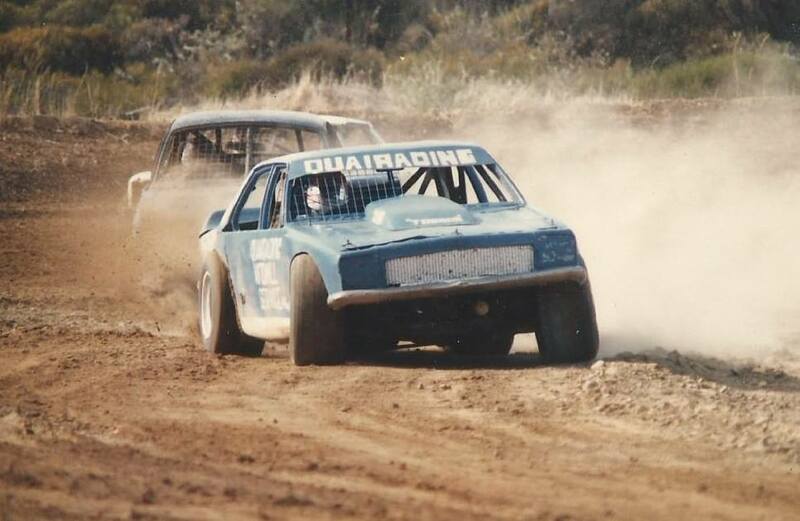 1984 - Darrel Haythornthwaite from the Quairading club tearing up the Corrigin Surface. Photo: Darrel Haythornthwaite. The race track and catch fence are in fairly good condition, all the perimeter fences and internal public fences are still standing but in a state of dis-repair, The canteen, club rooms and the toilet buildings are sound but the vandals have destroyed the inner walls and fixtures. 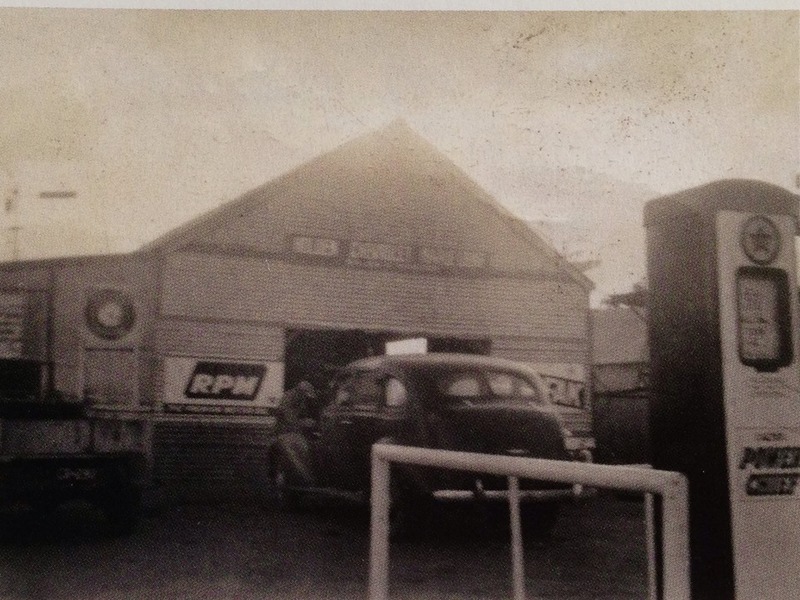 1947 - Waldens Garage on Goyder Street. Photo: Lorinda Knox. Lost Corrigin facebook. 1988 - Joan and Graham Walden attend the dedication at Walden Park. Photo: unknown. The canteen clubrooms, originaly an old farm house that was dismantled and re-erected at the speedway. The small house also had the brick section added on at the same time. Information is required on George Walden. Can you help? 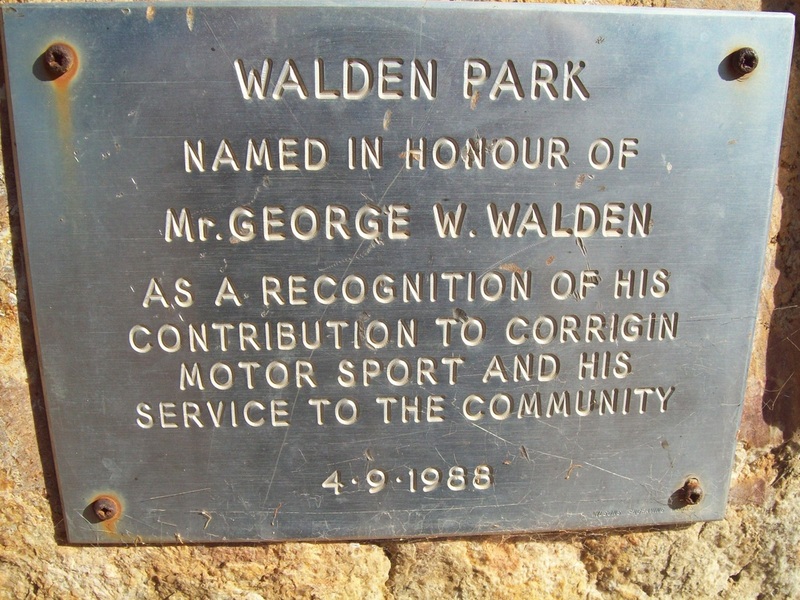 With the Lease on Walden Park being entered into between the Australian Speedway Drivers and Riders Association, The Shire of Corrigin and the Lands Department, all that was required then from The Department of Sport and Recreation was to ensure West Coast was affiliated with West Australia's Peak body the West Australian Speedway Commission. 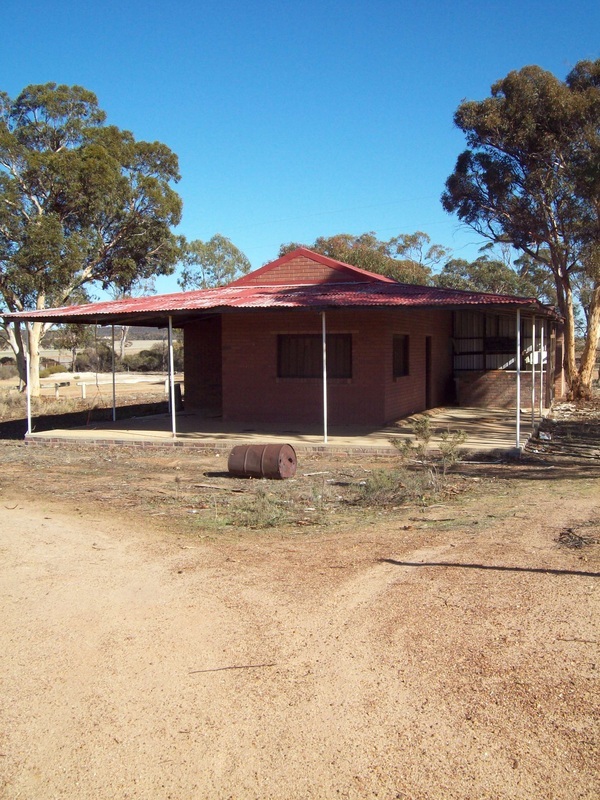 With all the boxes being ticked, restoration on the Corrigin venue has commenced after 3 years of tireless work by the ASDRA under the leadership of Alan and Christine Meakins. The restoration work commenced in 2013 but it was not until 2015 that the lease would be finalised by the lands department. main straight spectator area: many healthy trees have been trimmed but area still remains very shaded. Kevin & Mal Myles installing the infield drainage,A sudden downpour at knock off time tested the plumbing works a treat. The award for the hardest working volunteer over the weekend goes to this vintage grader, with its owner Barney at the controls the machine worked non stop widening the racetrack to 22metres, leveling and cambering the surface to close to its final size, Barney also set about laying down the tractor pull strip. Over the period since inception many locals have assisted in the restoration work like John Janson with fencing etc, Ron Poultney with his hours on his tractor shifter the track gate entrances and the clean ups, Two more locals turned out this weekend, Terry Randel with a large loader and Neil Roebuck with a semi side tipper to clear up the green waste and back-fill a section of the front straight to build the control tower on, The pre-fab control tower is currently under construction also. There is no shortage of small jobs to be done on site, here Christine Meakins is raking and burning. 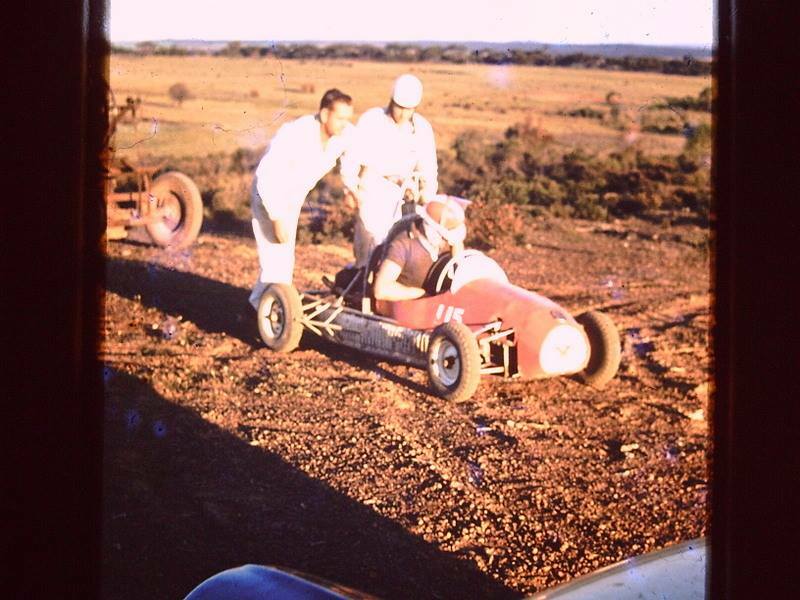 Christine Meakins pushes away Alan to do a lap on the freshly graded base at West Coast Speedway in Corrigin. Photo: Brian Moyle. Alan Meakins in the Vintage Formula 500 turns in a few laps on the re-shaped 22 metre wide base that will later accept the top soil that will be the race surface, Alan commented, that track is going to be fast with those big flowing corners and that camber on the turns. Photo: Brian Moyle. Alan and Michael go over the car prior to an engine start with the Vintage Speedway. Photo: Brian Moyle. Michael is pushed onto the track prior to suiting up an belting in for an engine start, this was a good opportunity to put the latest West Coast Speedway push ute through its paces. Photo: Brian Moyle. Work has commenced on the construction of the Winged Outlaw kart track at Corrigin. Photos: Trevor Reynolds. The race track is raceable and the plastic track fence is making its way around the outside thanks to all the volunteers that have made the project possible, when finished the banked track will measure 185 metres on the curb and 16 metres wide, and sits on the inside of the 450 metre by 25 metre main race track. Photo's: Trevor Reynolds.